An anxiety-ridden would-be-actor and overbearing would-be-rapper comprise the comedy sketch duo Tracy's Leaving Party. The sketches are unpredictably funny, its performers both talented and a joy to spend time with. Their material is never obvious nor does it outstay its welcome, and the performance has a rapid-fire energy. A force to reckon with, and a dynamic " wild card" in a line up. Punchy, blunt, accessible; French Arielle Souma performs with a distinctive style. 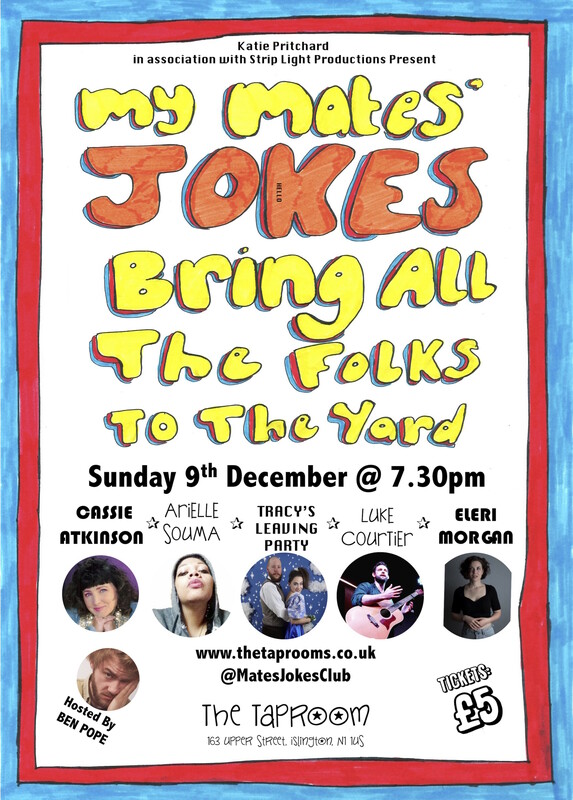 Super cool dude, and friend of the club, Ben Pope, will be hosting this December and WOWZERS TROUSERS you’re in for a treat! In house tech provided by whizzzzzz kid Dave Nattriss. In association with Katie Pritchard & Strip Light Productions.